A local favourite. Taste the best Chinese cuisine downtown Vernon, British Columbia. 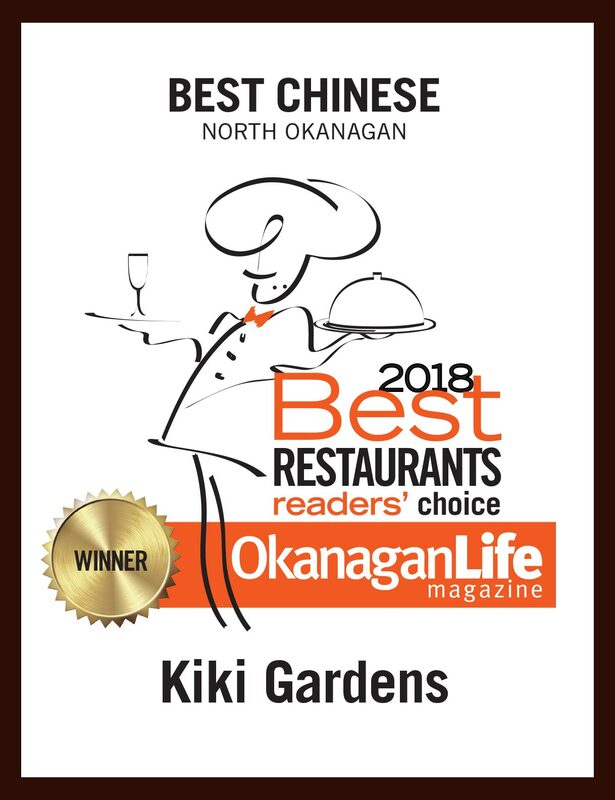 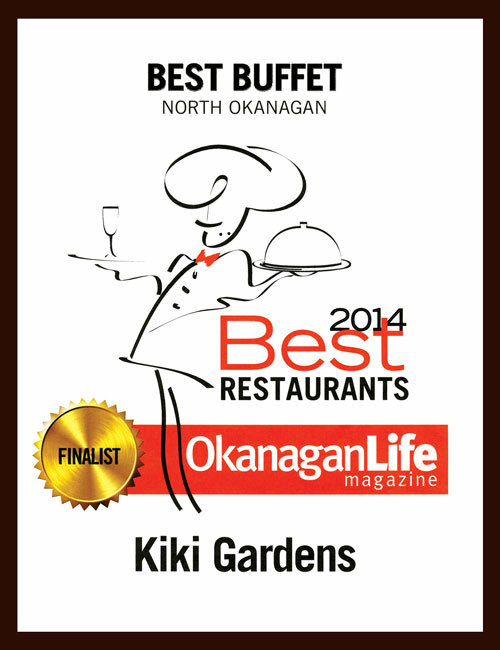 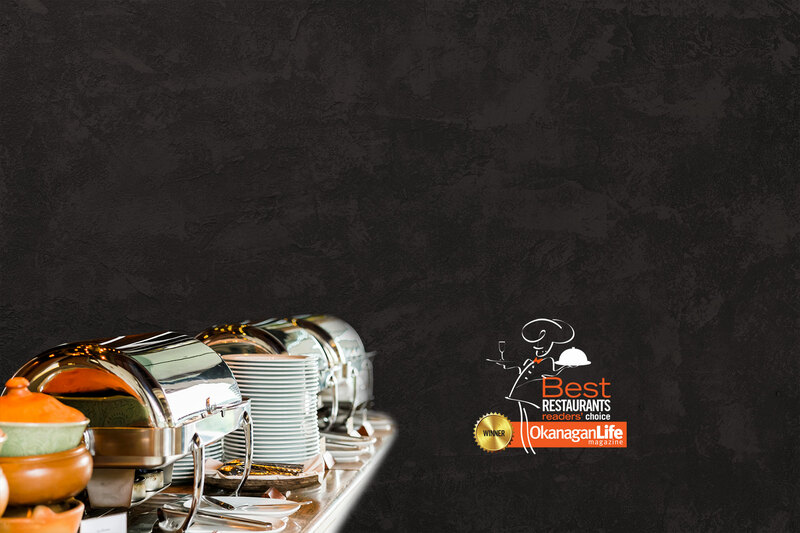 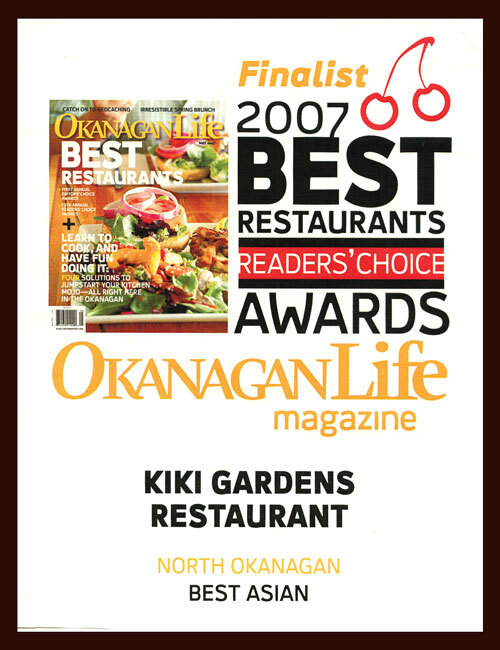 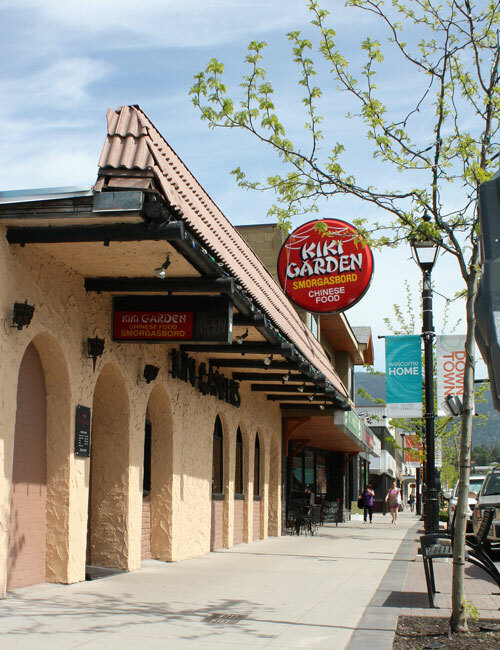 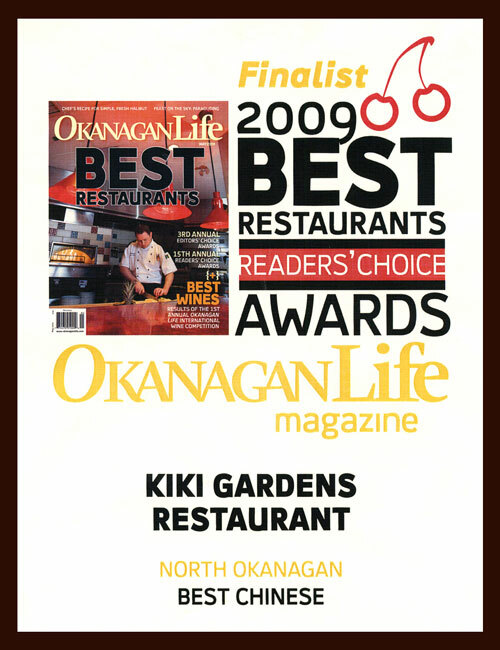 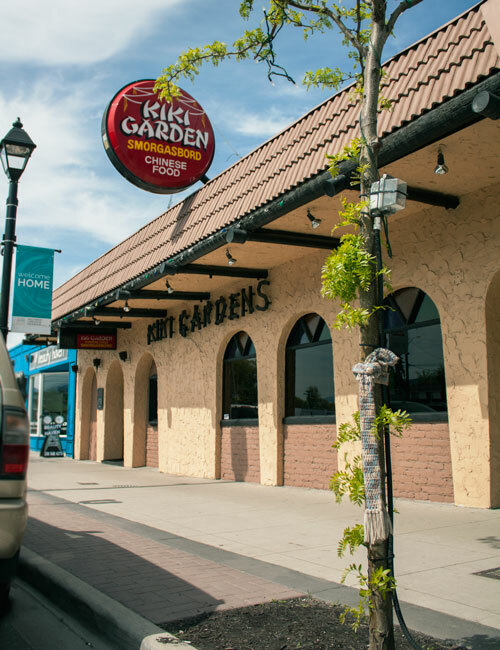 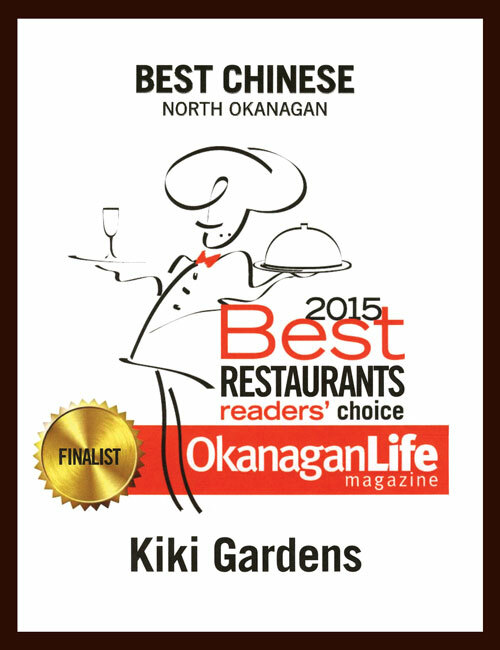 For the past 10 years Kiki Gardens has had the honour of being a finalist and winner of Okanagan Life Magazine’s Best Restaurants Readers’ Choice awards. 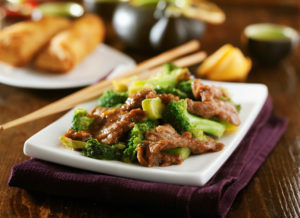 Good for a quick hot meal. 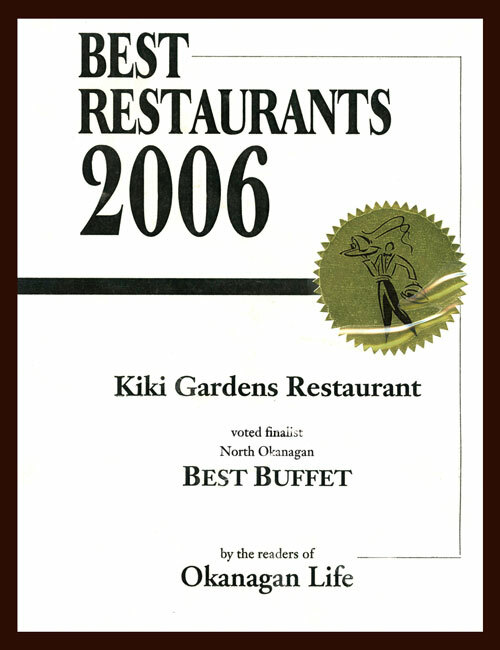 Place was very busy so food in the buffet was hot and fresh. 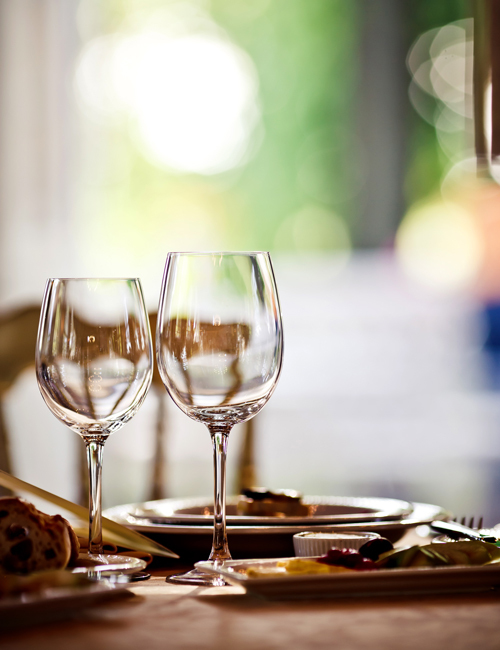 You seat yourself but the waitress comes quickly to take your drink order. 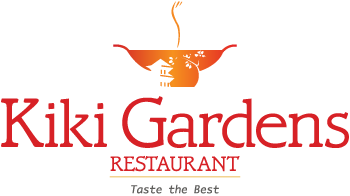 They have 2 hot sections and one salad - dessert section, you can also order from the menu. Our favorite Chinese delivery restaurant in Vernon. 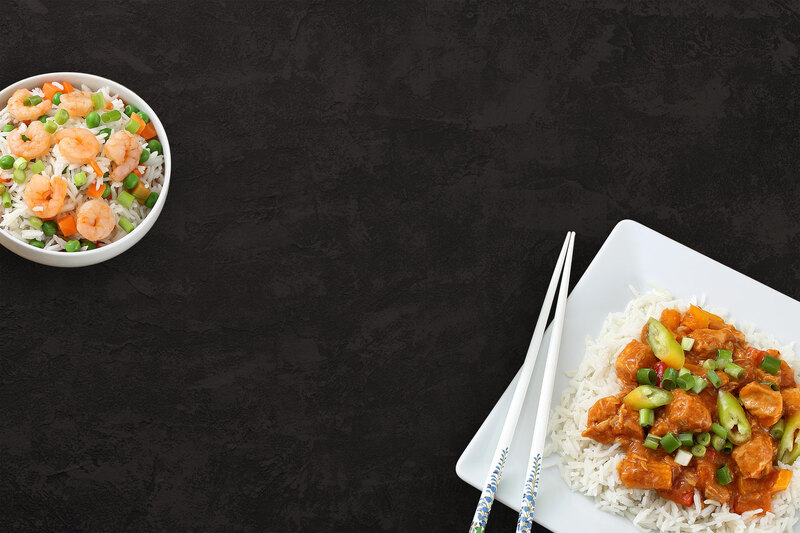 Their meals for 1 provide good value. 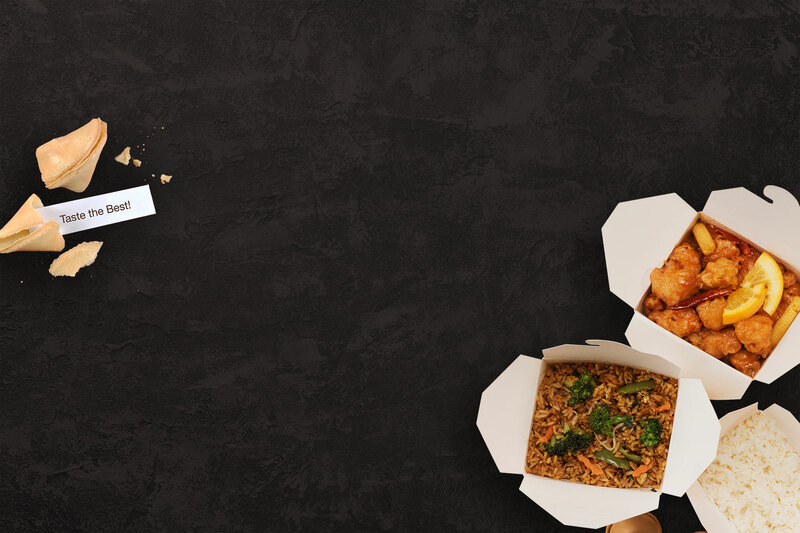 Delivery is quick and the food is always hot and tasty. 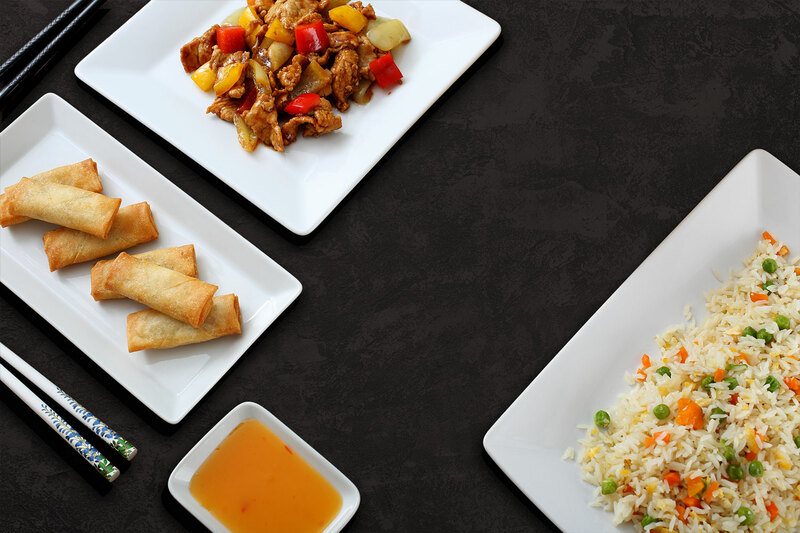 Come visit us and check out our delicious monthly specials. 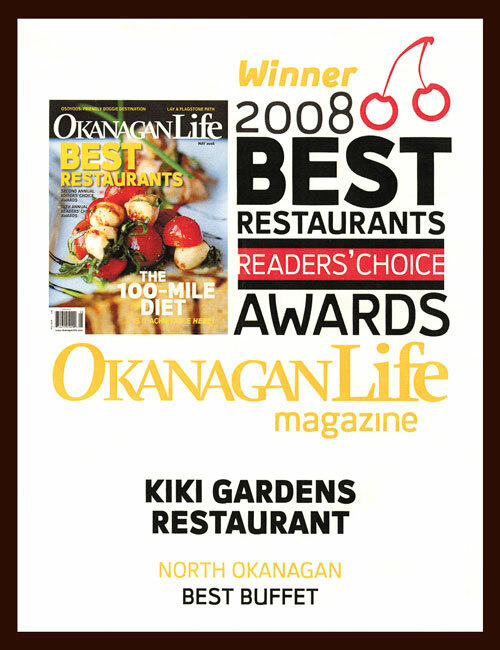 Call us today at 250.545.2757 to place your take out order! Dine in, take out, or join us for our daily buffet. 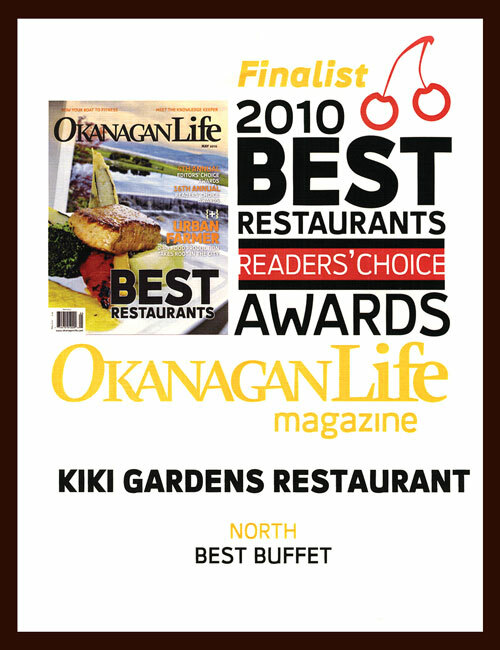 Lunch buffet at 11:30 am to 2:00 pm and dinner buffet at 4:30 pm to 8:00 pm. 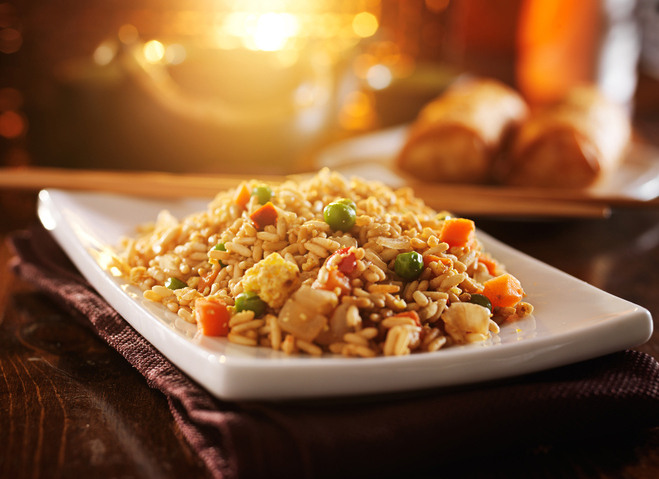 We do not use MSG in our food! 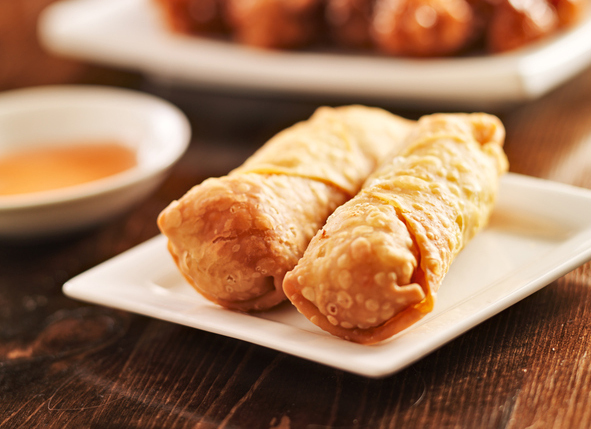 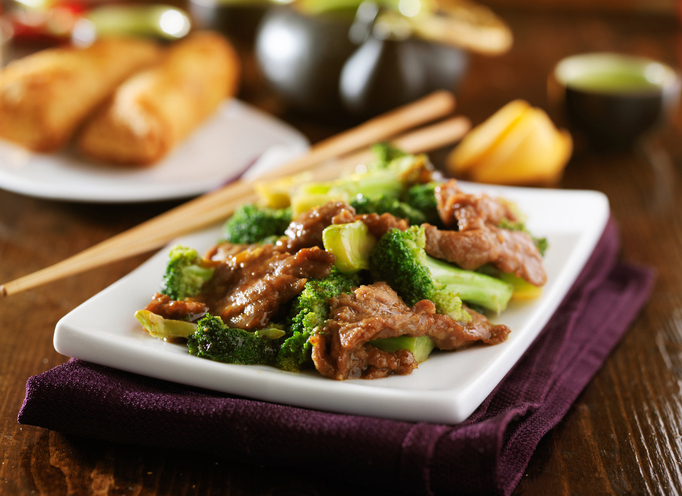 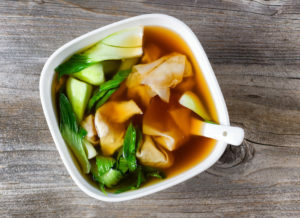 Contact us today about our specially prepared Chinese food for large banquets & parties.